Designing a visual identity system that captures the joy of health, not the transactional nature of health insurance. Aetna's previous visual system served them well, but had grown unwieldy. We simplified, refined, and evolved defining the key elements that support Aetna's strategy and ambitions. A vibrant and joyful color palette. A distinctive, and human typeface. Authentic and inclusive imagery. 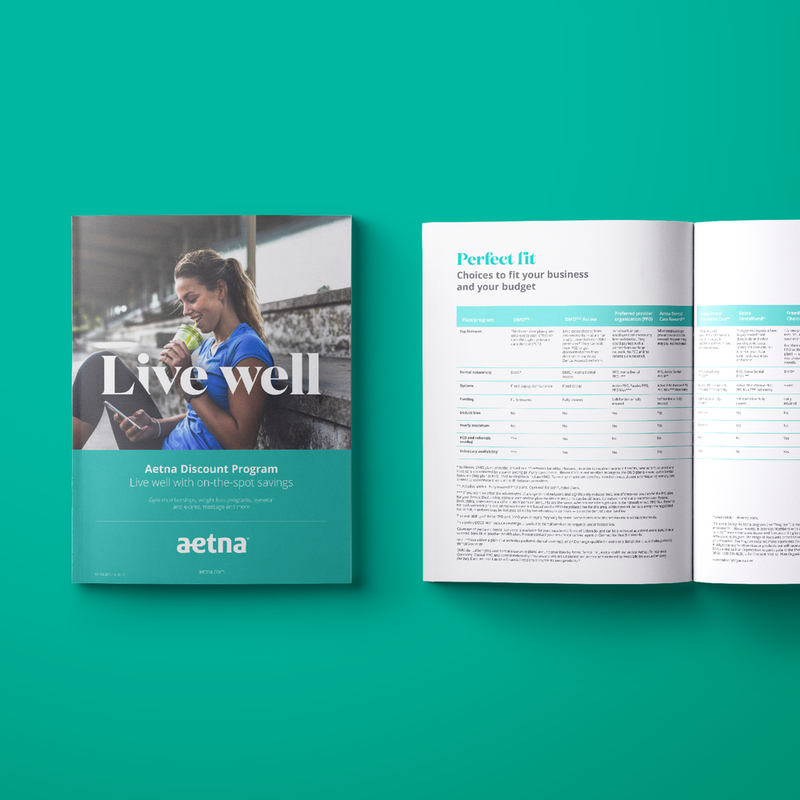 We developed a system of interwoven headlines, symbolizing how Aetna joins its members to help them achieve their goals. We made sure the system could accommodate a wide range of skill levels. I wrote a lot of guidelines. Exhaustive (and exhausting), but each rule was given a why, a reason for the audience to care. A small sampling. There are tons of pages. This is my favorite part of the system. I defined the principles of the style, ensuring that it shared design details with Domain Display, Aetna's headline typeface. The supremely talented Nayo Kim took it from there. Nayo is a better illustrator than me. I also did some animations and people illustrations. A lot of stuff gets made for Aetna. As part of launching the new system, we worked closely with internal and external teams to ensure communications were successful and on-brand. I was in charge of writing detailed notes and feedback for our agency partners, examining all aspects of a communication and providing guidance and relevant examples to support teams. A lot of brands are concerned about "flexing" their brand, especially soon after launch. We worked with Aetna and their social agency to determine when and how their system should flex. I like how it turned out. 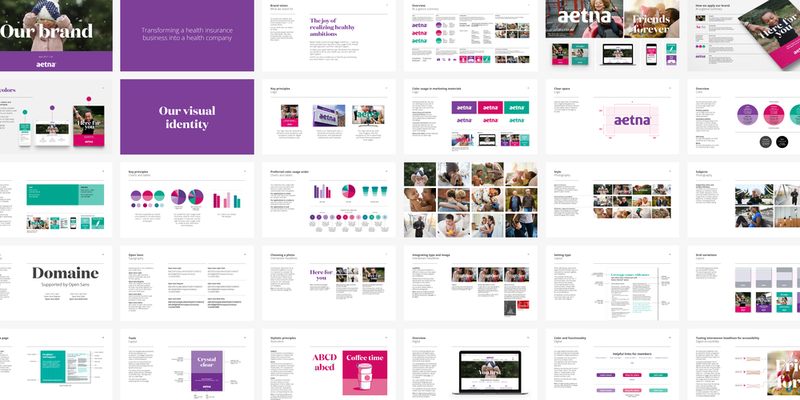 When it came time to expand Aetna's digital guidelines, we reached out and interviewed the digital agencies that work on the Aetna brand to determine their needs, questions, and pain points. This informed how I wrote the digital guidelines, ensuring that we were providing enough detail without limiting the digital teams.